Life at the age of 20 is so nonchalant and wonderful, full of choices. Games, gadgets, outdoor sports accessories, books, decor items, and all kinds of cool stuff is one of the perfect gifts for 20 year olds. Think of fun and cool things that are unique and offbeat. That is what they love and cherish in their teen lives. These are gift ideas for teens that are fun and useful; something that they will love and keep it for fond memories. compliments and heads turned wearing this awesome gift accessory on your outfits. For the fans of the Hunger Games, this is a nice choice of gift to give them. Have a great time outdoors with this inflatable float that you can carry along with you when you go outdoors. Cruising along on the river in your own pace, sipping your favorite cocktail and have fun outdoors. This is an awesome gift for the 20-year-olds who love hiking, camping, river rafting, and all of the outdoor activities. You can lounge in the outdoors with this inflatable lounger water float and enjoy the serene view of the landscapes when you go outdoors. Send love to your siblings, nieces, nephews, or any of the 20-year-old who loves shopping. Who does not love shopping? But then this is one of the best pastimes of the teens and they just love to shop. Gift them an Amazon gift card and see them giving you a bright and a happy smile. 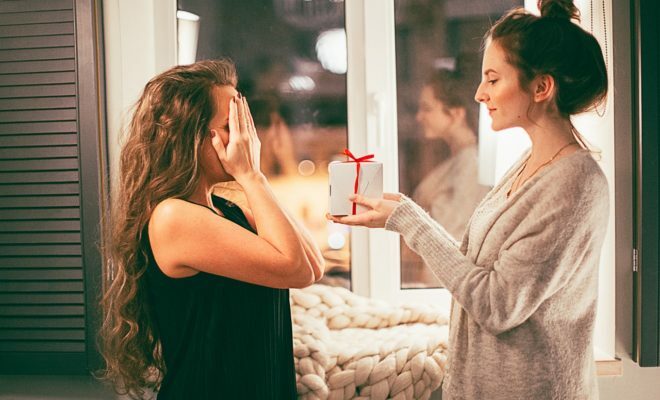 If you want to make your near and dear ones happy on any occasion, a gift card is the best option to give if you do not know what to buy for the 20-year-old. Let them have fun shopping and buy what they love with this gift card. One of the coolest gifts you can give a 20-year-old is a bucket ball set. It comes with a storage bag and can be taken along to camping, BBQ events, play in your backyard, or any of the indoor and outdoor areas. A perfect game for any of the indoor and outdoor events. Enjoy group activity with family and friends with this gift. You can have hours of fun playing this game in the outdoors when you go camping or to the beach. A nice and a cool gift to give a 20-year old whose life is music, fun, and all the cool and happening stuff. A portable, Bluetooth shower speaker is something any 20-year old will absolutely love receiving as a gift. They can listen to their favorite numbers while singing in the rain, in the shower, inside the pool, while scuba diving, or enjoy any of the water sports and activities. Enjoy listening to any of your favorite songs or audio books when on the beach, inside the pool, or while in the outdoors enjoying any of the activities. A nice pair of detangler hair brush is something that you can gift a 20-year old boy or a girl. It is ergonomically designed and can work on wet as well as dry hair. A nice and useful gift that can keep your hair neat. It prevents hair breakage and gives you less stress in maintaining your hair. A nice gift to give a teen who suffers from hair problems. This is a gift that works like an elixir in the life of a teen struggling with hair problems. A thoughtful gift for a teen you can give on any occasion. A set of nice and colorful knit socks is a cool winter gift you can give a 20-year old for holidays and celebrations. Vintage cotton and woolen socks are something that any youngest will love. A Stylish yet useful gift that keeps their feet warm and adds to their style. They can wear them outdoors to events, or use them daily. One of the cool gift ideas for 20-year old are these set of novelty and colorful socks.